Though it won’t win any drag races, the 2016 Mazda CX-3’s comfortable ride, class-leading design, and excellent handling help it race to the front of its class. The market for subcompact crossover cars today is about as hot as I imagine toasters were at the beginning of the 20th century; everyone just needs those four extra inches of ground clearance, and you’re not going to be that family without crispy bread, are you? Not to be left out, Mazda has introduced its 2016 CX-3 to slot beneath the CX-5 crossover and duke it out with rivals like the Chevrolet Trax, Fiat 500X, Honda HR-V, Nissan Juke, Jeep Renegade, Buick Encore, Kia Soul … you get the idea. 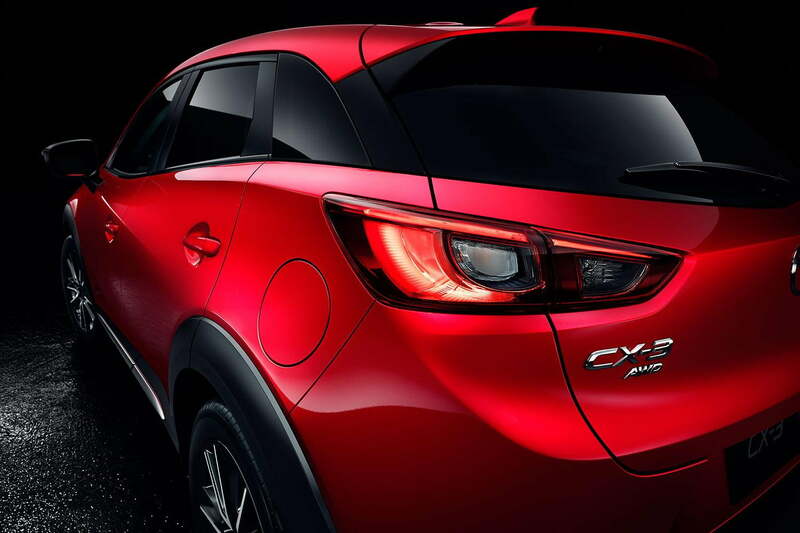 With a long list of options for the subcompact crossover consumer (call them SCCs if you must), the CX-3 is poised to be one of the most important models in Mazda’s range – success is a must for the company. As we might expect from the Mazda angle of attack, the CX-3 is distinguished from the herd by a compliant chassis, light body, and nimble handling characteristics. 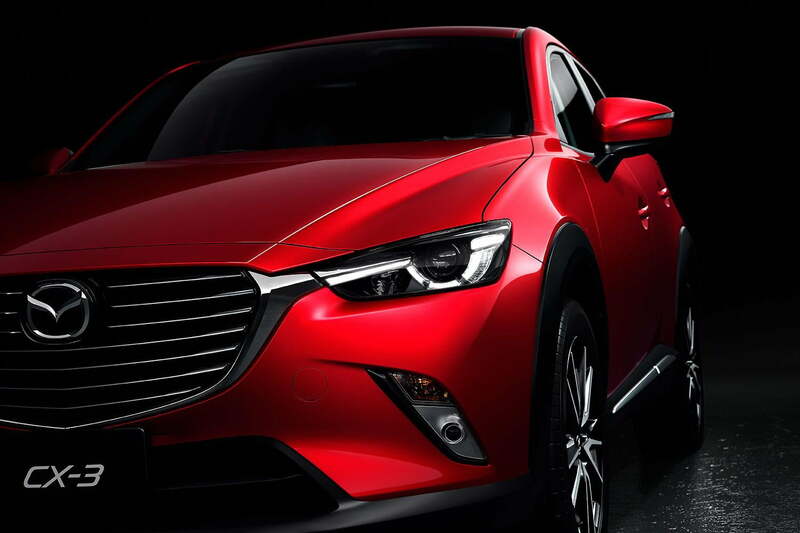 If you’re a fan of Mazda’s Kodo design language, you’ll immediately be drawn to the CX-3’s wind-swept looks that strike an even better pose than the handsome CX-5. Both the headlights and taillights are narrower than those on its larger sibling and the blacked-out C-pillar — the body support structure over the rear wheels — adds a styling flare that most of its competitors lack. While lower-level trims make do with 16-inch steel wheels, the Grand Touring package’s 10-spoke, 18-inch units — the largest in the segment — add another layer of aesthetic appeal. The short front and rear overhangs, long hood, and high belt line make the CX-3 appear to squat low, ready to pounce on lesser subcompacts. In Soul Red, the CX-3 is pleasantly eye-catching among a sea of more modestly-styled rivals. The short front and rear overhangs, long hood, and high belt line make the CX-3 appear to squat low — ready to pounce on lesser subcompacts. 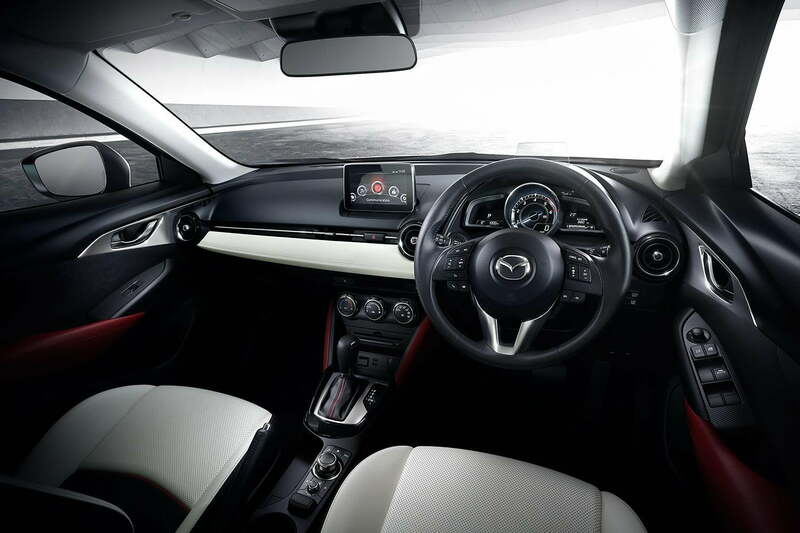 Inside, the cabin mirrors the new Mazda3 with a floating 7.0-inch infotainment display, brushed aluminum touches, a multi-function steering wheel, and an otherwise clean dash. Mazda’s optional Bose audio system with seven speakers delivers high-quality sound. Mazda uses soft-touch materials throughout the cabin, attractive contrast-stitching on the seats and dash, and high-quality buttons and knobs. The multi-colored leather surfaces in the Grand Touring spec add dimensionality to the cabin, while the red accents inject sportiness to Touring and Sport trims. Driver information is displayed differently depending on trim level. 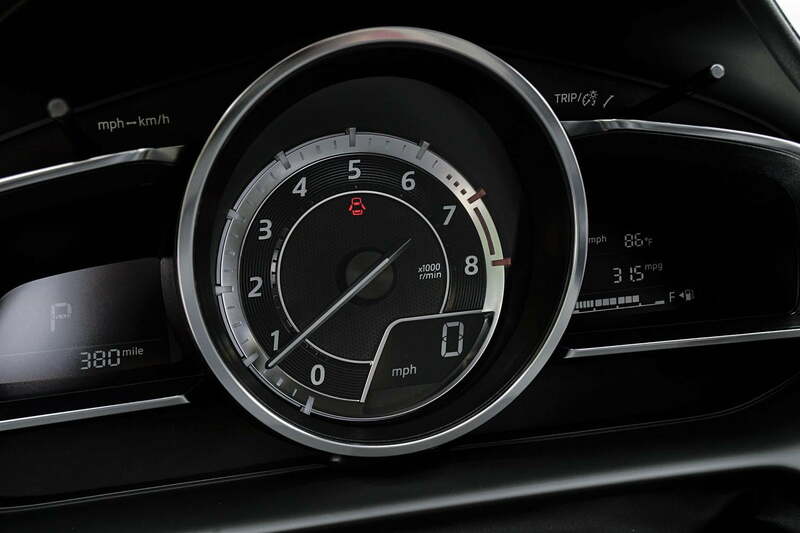 Sub-Grand Touring trims have a more traditional speedometer and tachometer layout while the GT trim integrates the two by centralizing the tachometer and transitioning the speedometer to a digital readout. Unfortunately, the digital screen is difficult to read with any amount of light in the cabin. The rear seats are tight and full-size adults won’t stay happy sitting back there long, but for shorter trips or children, they get the job done. The front seats, by comparison, are remarkably comfortable and supportive, even after hours of seat time. Cargo capacity is enough for running errands or taking a mini vacation, but if you expect to need more space, the CX-5 will suit you better. 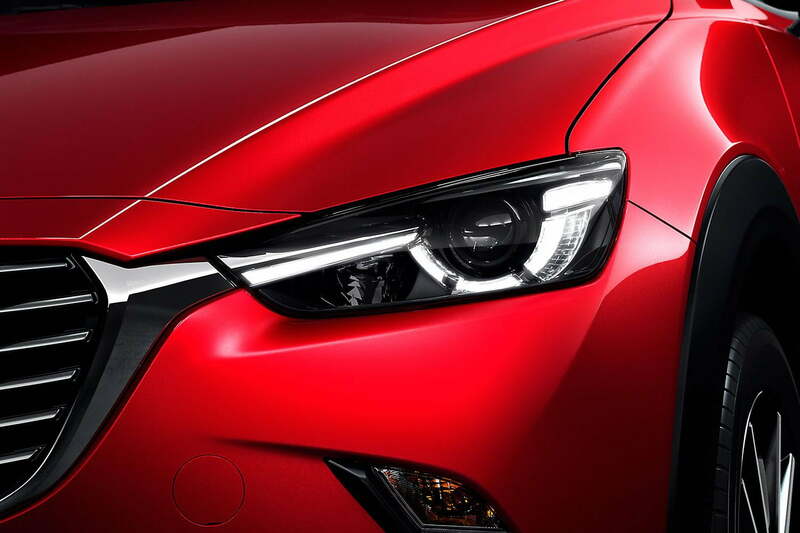 To understand how the CX-3 drives, keep in mind that it is based on the 2016 Mazda 2’s SkyActiv platform, meaning a light-but-taught structure made mostly of high-strength steel. While the CX-3 hasn’t received crash test ratings, Mazda estimates it will receive top marks. Up front are MacPherson struts, while in back the CX-3 uses a torsion-beam axle, a move the automaker says was for weight and space-saving purposes. Speaking of which, the front-wheel drive CX-3 weighs 2,809 pounds and the all-wheel drive spec adds about 150 pounds. Those figures are at the low end of its segment. On the twisty roads of Malibu, California, the CX-3 offers an engaging and well-balanced driving experience that sides far more on the hatchback end its genetic make-up than its stilted “crossover” characteristics. Steering is light but direct and the CX-3’s ride is comfortable while cruising. Both the standard front-wheel drive and optional all-wheel drive systems lend themselves to predictable handling with mitigated understeer that’s more than sufficient for daily driving duties. All CX-3’s are equipped with a Sport mode as well, which significantly sharpens throttle response and steering feedback. More important, when driving more aggressively, the Sport mode holds gears much longer and even downshifts with enthusiasm under hard braking. Powering all versions of the 2016 CX-3 is a SkyActiv-G 2.0-liter four-cylinder engine making 146 horsepower and 146 pound-feet of torque — what I would consider “just enough” power. The engine is mated to a six-speed automatic with optional paddle shifters. Don’t expect to be blown away by the powertrain’s potency, though. “Just enough” means the CX-3 gets up to speed with a healthy amount of low-end torque, but the CX-3 is sorely outgunned when lined up against the turbocharged Nissan Juke. That said, outright power has never been one of Mazda’s core traits, and the CX-3’s outstanding handling does a lot to counter-balance any output inefficiencies. One positive side effect of the CX-3’s somewhat underwhelming state of tune is greater fuel efficiency. Mazda estimates the 2016 CX-3 will achieve 29 mpg in the city and 35 mpg on the highway in front-wheel drive trim or 27/32 mpg when fitted with all-wheel drive. 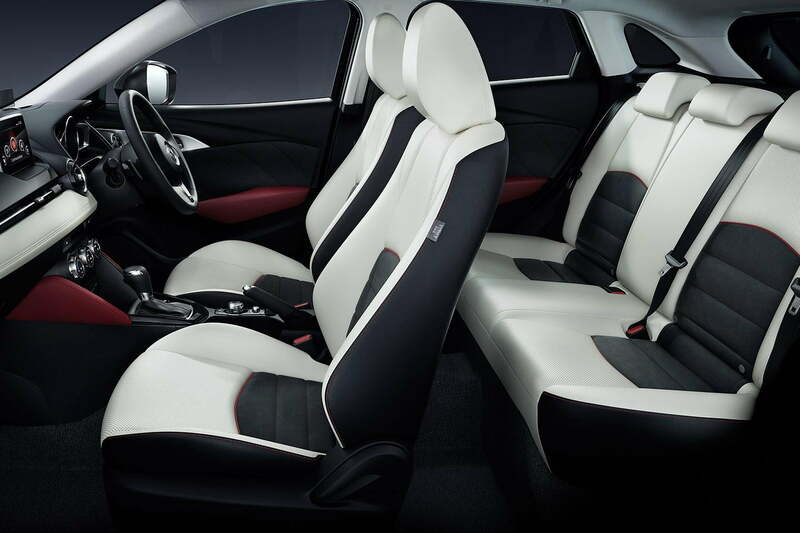 The 2016 Mazda CX-3 Sport starts at $19,960 and features air conditioning, a tilt/telescoping steering wheel, and premium cloth seats. Also included is cruise control, power windows, power locks, and a 60/40 split folding rear seat. 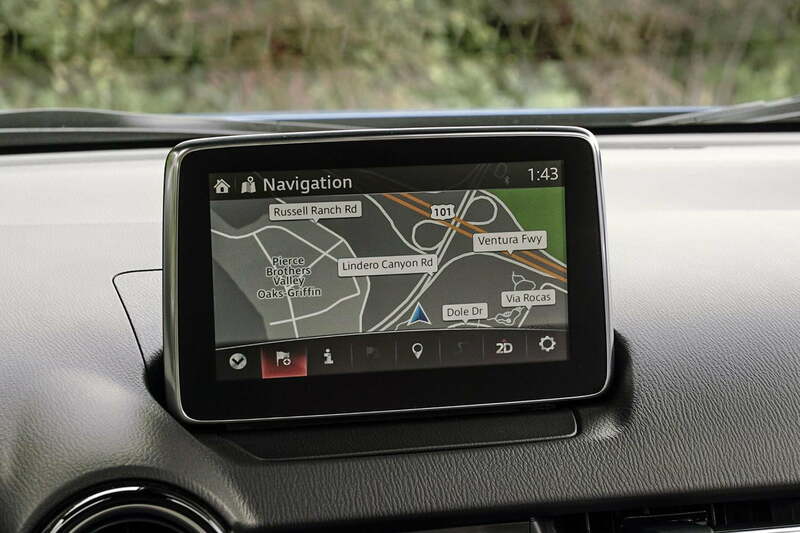 On the technology side, the CX-3 sport comes standard with a rearview camera, Bluetooth connectivity, and a Mazda Connect infotainment system with a 7.0-inch display. All-wheel drive is available at all trim levels for an additional $1,250. The CX-3 offers an engaging and well-balanced driving experience. The CX-3 Touring will be positioned above the Sport at $21,960 and adds mirror-mounted turn signals, 16-inch alloy wheels, cloth/leatherette seats, a leather-wrapped steering wheel, a center armrest, heated front seats, an upgraded six-speaker audio system, Advanced Keyless Entry, and more premium materials throughout the cabin. At the top of the CX-3 range sits the $24,990 Grand Touring with a heaping pile of additional equipment, including a two-tone interior, LED headlights, LED fog lights, 18-inch alloy wheels, automatic climate control, GPS navigation, a Bose audio system, a power moonroof, and leather/lux suede upholstery. At an additional cost, Mazda includes its i-Activsense package with radar cruise control, lane-departure warning, automatic smart braking, and automatic headlights, high beams, and rain-sensing wipers. 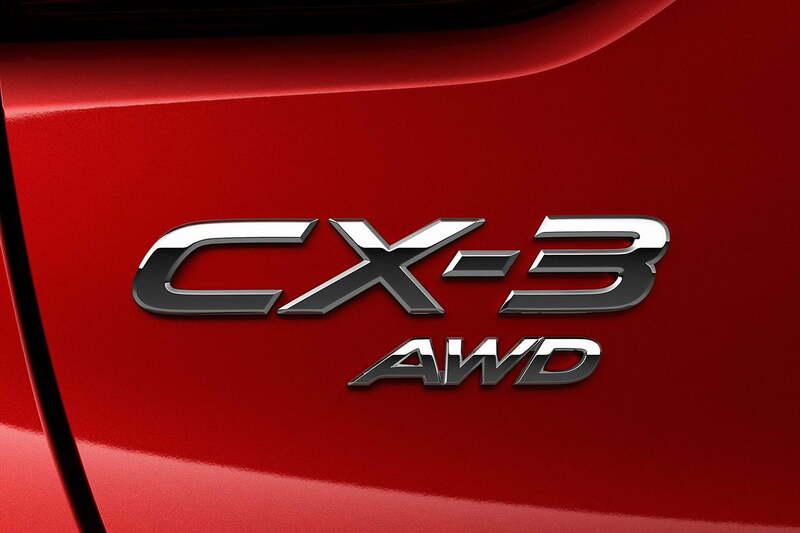 With every option checked, including all-wheel drive and i-Activesense, the CX-3 can run you $28,160. Given the upscale interior, excellent driving dynamics, and fetching exterior styling, the 2016 Mazda CX-3 has all the markings of a class-leader in the explosive subcompact crossover segment. I fail to see why subcompact crossovers have such a magnetic attraction to this sector of the automotive industry, but if it gives automakers an opportunity to create more enticing models like the CX-3, I’ll bite my tongue and enjoy the ride.